How is the Oklahoma City Metro Real Estate Market for JULY 2016, the Oklahoma City Metro Real Estate Market is FLAT for JULY 2016, compared year over year. We have 4 Good, 0 FLAT, 2 BAD, AND 1 VERY BAD readings. Time to look for a Buyer’s market, CHECK OUT THE GRAPH BELOW. If you are getting ready to sell PRICE it RIGHT. With inventory rising for the 6th straight month, prices ARE dropping, DON’T be stagnant on the Market!!!! 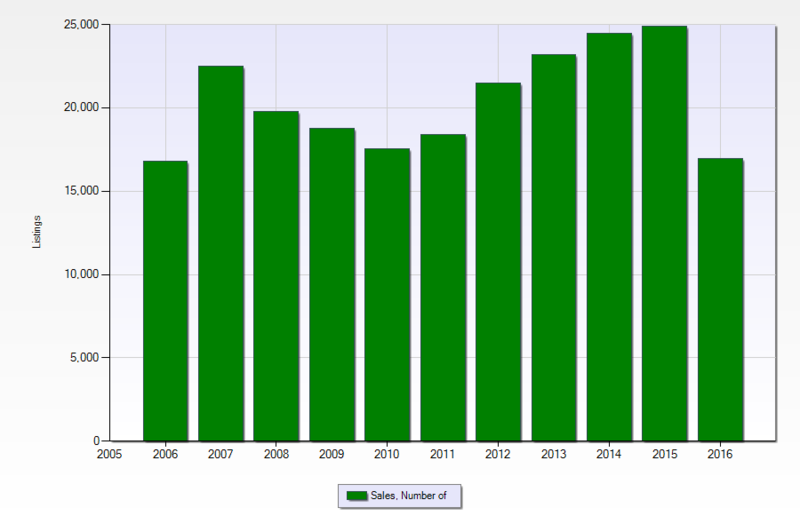 The OKC Metro Market is missing about 33% of 2015 sales. Now for those who state we still have 33% of the year to go through, keep in mind that April through August are Oklahoma’s highest producing months. As always, if you are thinking about Selling or Buying a home, call the Oklahoma Real Estate Crew at 405-315-7965, we help home owners and land owners sell their Real Estate. This Real Estate Market video has been completed by Josh Barnett, Managing Broker of Oklahoma Real Estate Crew. For a copy of the Oklahoma City Metro Association of Realtor (OKCMAR) stats, email Josh@OKRECrew.com and place in the subject line JULY 2016 Oklahoma City Metro Housing Stats. Please be sure to “LIKE” this video and “SHARE” with your friends and family who are getting ready to Buy or Sell in the Oklahoma City area. “LIKE” us on Facebook @OKRealEstateCrew to stay up-to-date on the future reports.